Twistid Products, an Australian company and designer of the MyColourCup, the world’s first sustainable solution to sharing of cups in a group environment. MyColourCup is a personalized cup that changes names. It design is simple and embraced by families because of its ease of use and powerful ability to identify cup users. “The idea came to life one night I called all the kids for dinner and asked them to bring the cups they were using to the table. They all walked past several cups on the kitchen counter and grabbed a new one from the cupboard. Right then I wished I had a better way to manage all the cups floating around our house. 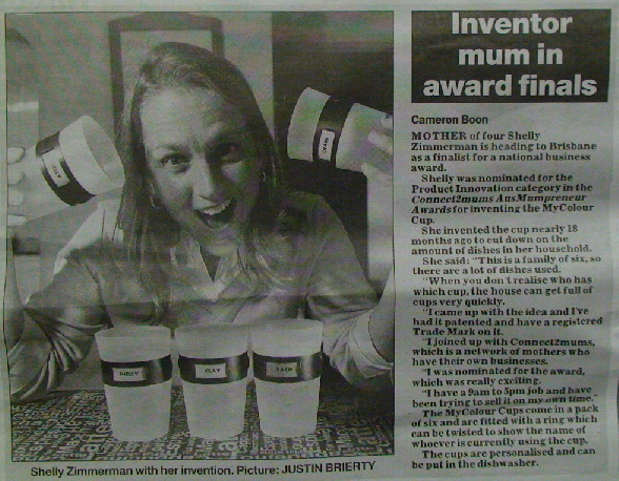 But I didn't set out to create a product; I set out to train my family on how to reuse the cups they already were using." "Now I know which cup is mine!" said cups designer, Shelly Zimmerman.